LG G2′s 13 megapixel sensor at the back is one of the most talked about features of the smartphone – the optically stabilized camera and its ability to shoot 1080p videos at 60fps have created a buzz among the tech enthusiasts. We now have a couple of user-captured videos and photos which tell us a great deal about the G2′s main shooter. 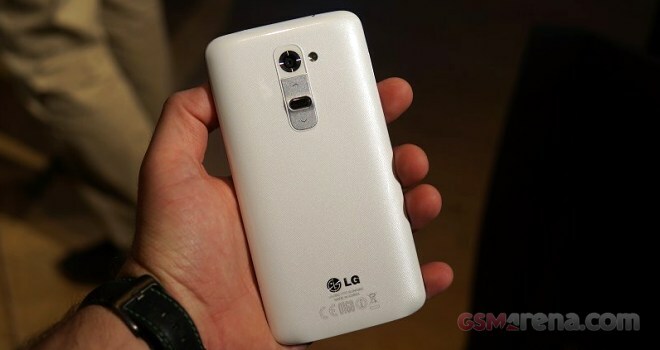 The user sample images and videos of the LG G2 come from the administrator of OptimusForums. G2′s camera has been tested out in the outdoor conditions and you can have a look at the samples below. LG G2′s camera shoots at 10 megapixels by default and the sample images reveal that they are not of the great quality. However, the shooter improves upon when it is fine tuned to shoot at 13 megapixels and renders some great detailed images. The colors look natural and the overall image quality looks elegant. The user has also posted a couple of videos shoot at 30fps and 60fps. Check out the videos below and you can also download the samples from the source link for true quality. We will have our say about the overall camera performance of the LG G2, when we get to play with the smartphone. Till then, we will leave you to make your judgement. Thanks Chris, for sending this in!